Queens Park Rangers midfielder Stefan Bailey has joined Oxford United on a month's loan. 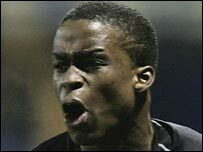 The 20-year-old came up through youth ranks and signed his first professional contract with the Loftus Road club midway through the 2005/06 campaign. He made his first-team debut as a substitute in April 2005 against Sheffield United. Bailey has made 17 starts for QPR but has failed to hold down a regular place in the senior side this season.